Damion Lloyd gets up before the sun. He appreciates the quiet and peacefulness of early mornings, and enjoys one perfect cup of hand-poured black coffee. He’s been known to pull over at random (grabbing whatever camera is handy) when he sees good light, a discarded suitcase on the sidewalk, or a striking face in a café window. He loves spending time in the garden with his plants, herbs and vegetables. He cherishes his three dogs (Pauli, Cleo and Lola) and also recently married his lovely fiancée Tanya. He’s passionate about his adopted home town of Fullerton and is active in local politics from a citizen’s point of view and believes that real change happens at a local level. He knew he wanted to be a photographer when he was about 9 years old. He learned to develop B&W film and prints 3 years later in 8th grade and was also on the high school yearbook as staff photographer. However, his first real job after graduating CSU Fullerton was selling cardboard boxes to large scale farmers in the San Joaquin Valley for about 18 months. Although he was good at it, his heart just wasn’t into outside sales, so he went to work as a custom B&W and color printer in a semi-pro photo lab. It was there he really honed his photographic craft by printing others’ pictures and working with established commercial photographers soaking up every ounce of knowledge, technique, and the art of working with clients. Four years later, he launched his own independent commercial photography career. In 2002 the universe opened and helped him land the job of head e-commerce product photographer at Wet Seal. Guess? 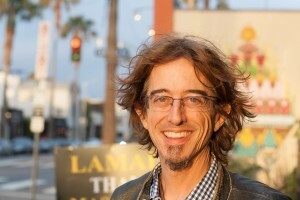 Jeans and Oakley followed allowing him to serve both Los Angeles and Orange County. He has grown his business, his artistry, and his passion for photography ever since. Today, the client list is impressive. Damion’s studio work is seen in retail shops across the country and throughout the web. 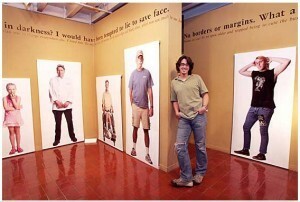 His personal work has been featured at the Muckenthaler Cultural Center in Fullerton. His fine art, travel and street photography hangs on walls worldwide. For more information, check out the Damion Lloyd Photography Instagram Official!